If you don’t live near or work with the family of a cookie-selling Girl Scout, it can be a bit of a pain finding and acquiring the treats. In spite of everyone else in the world going online to reach the highest number of consumers possible, the Scouts have been reluctant about letting their young ladies make cookies available via the Internet, until now. 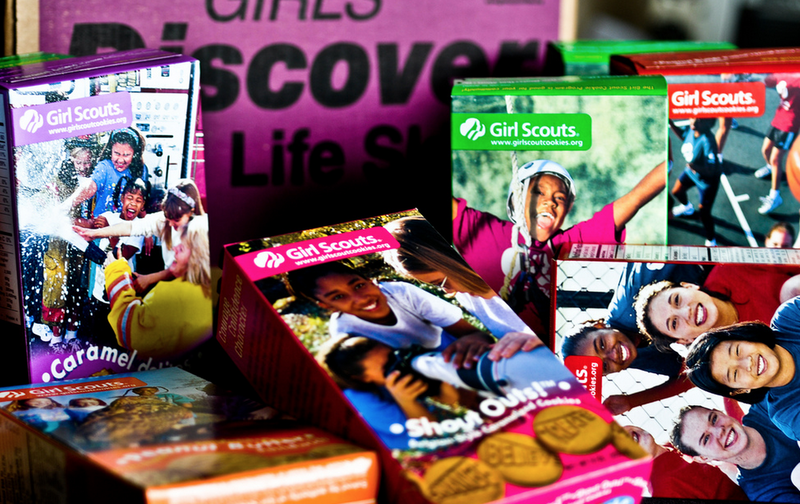 The AP reports that Girl Scouts will now be allowed to sell cookies online — through mobile apps or personalized websites — if they get the thumbs-up from their scout councils and guardians. Girl Scouts of the USA tells the AP that scout councils will be given two online platforms to choose from (they can’t opt into both) when sales season heats up in the coming weeks. The website option would allow individual sellers to create their own online pages that can be personalized with the scout’s first name and, if she chooses, videos introducing themselves and explaining the purpose of the cookie sales. The scouts would send out links to their personal sites to potential buyers, who can order and pay online. These sites would only be accessible by the e-mailed links. The notion is that this both encourages the scouts from developing sales leads and maintains some level of privacy. The mobile platform appears to be a higher-tech version of the more traditional person-to-person sales the scouts have done for decades. But rather than carrying around paper order forms or hoping to eventually get paid, everything would be done via the app. So while, in either of the options available to scouts, consumers would still need to make some sort of connection with a local scout, it gives the young sellers new options in terms of reaching more people. For example, parents who help sell by taking orders at their offices no longer need to hunt down their colleagues for cash, or worry about the cookie stash being stolen from their desk. Instead, people would be able to pay directly online and orders would be shipped straight to the buyer.